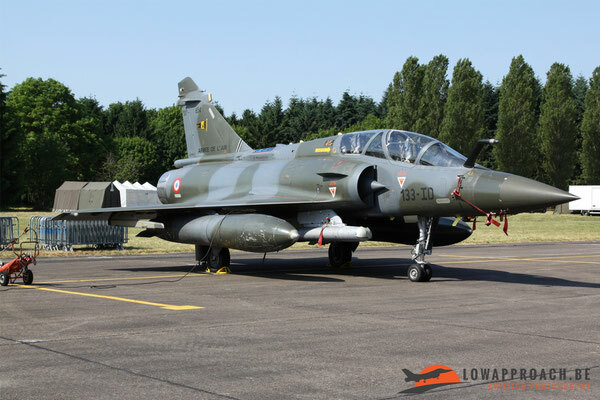 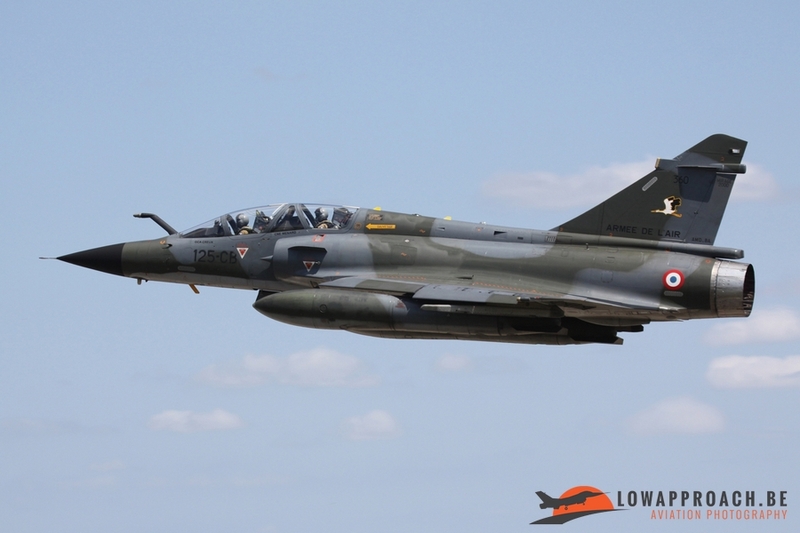 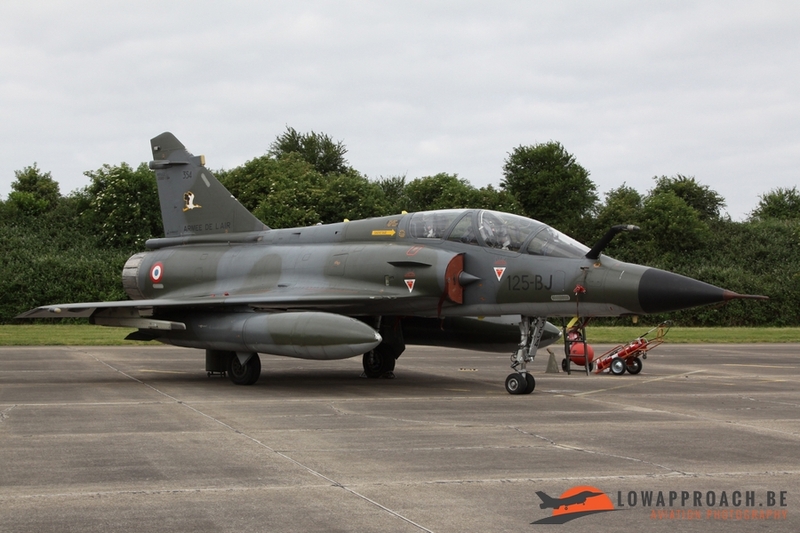 The first time I visited BA705 Tours during an airshow was back in 1991 when desert Bucccaneers, Mystére IV and Mirage III’s were roaring in the skies at this base situated in the middle of France. 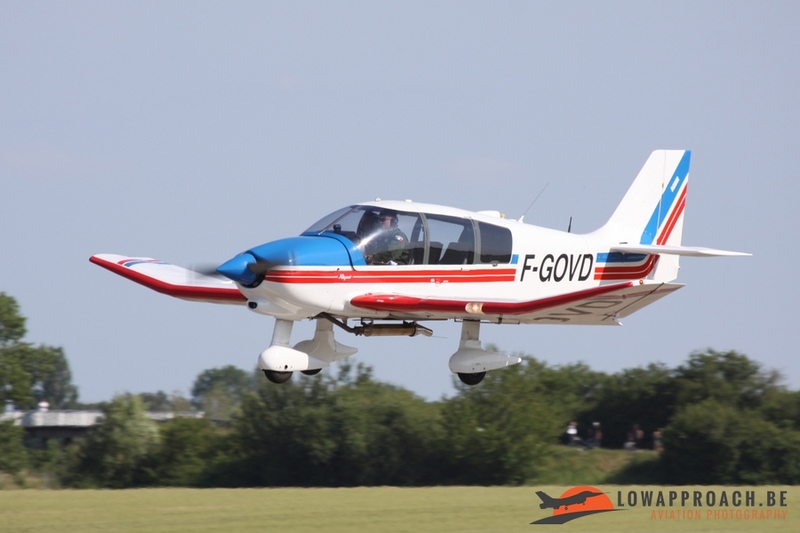 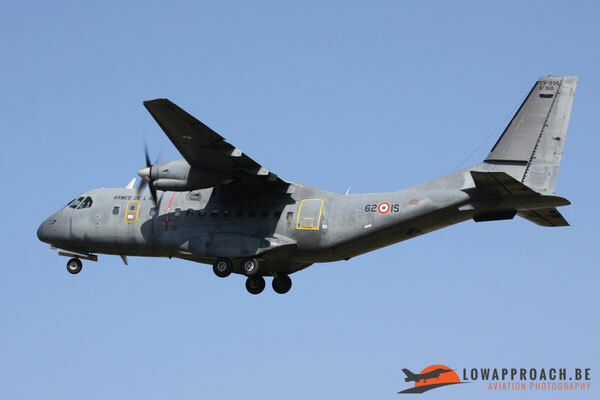 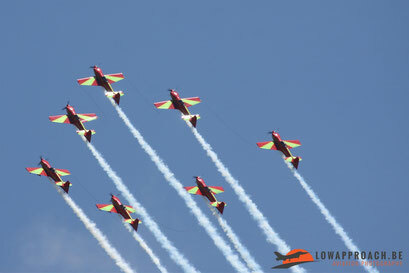 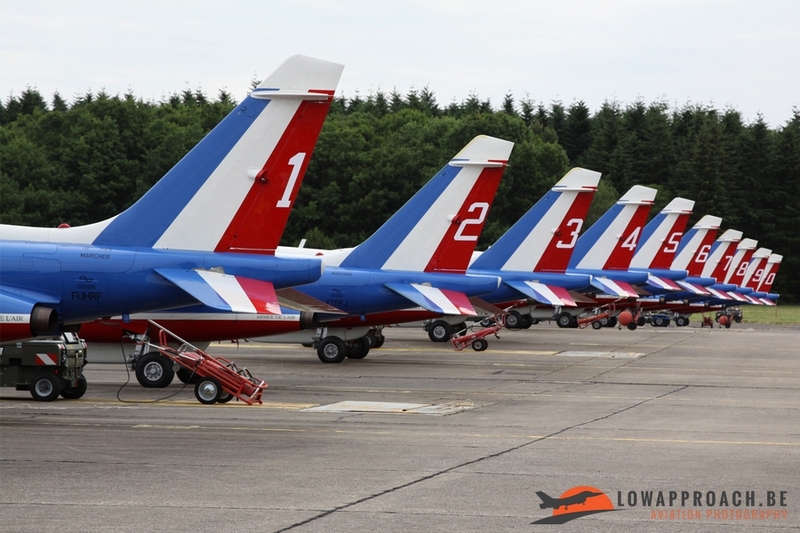 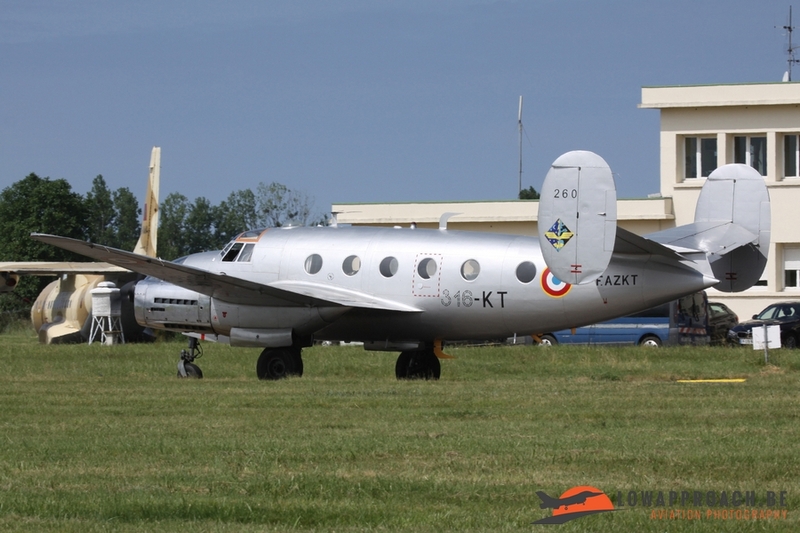 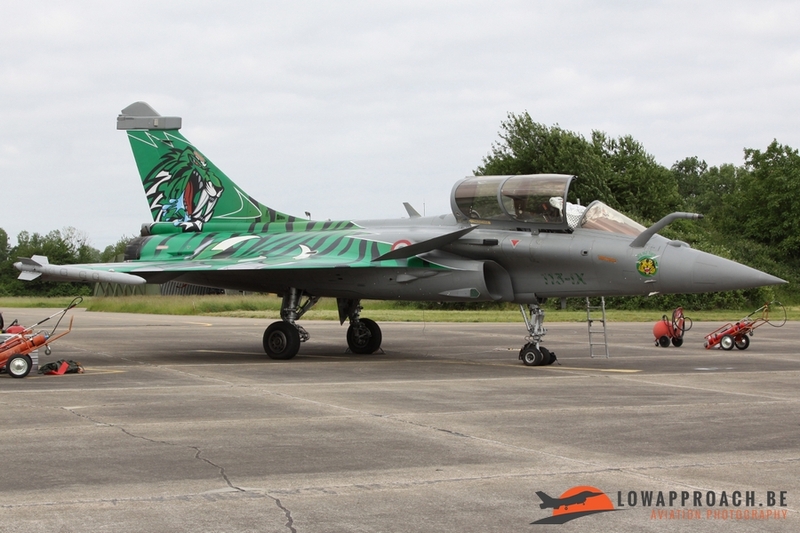 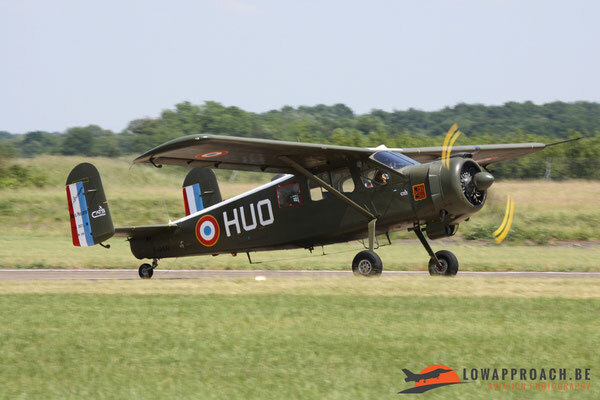 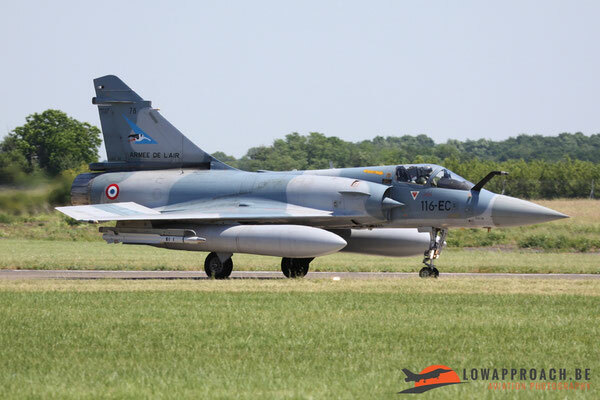 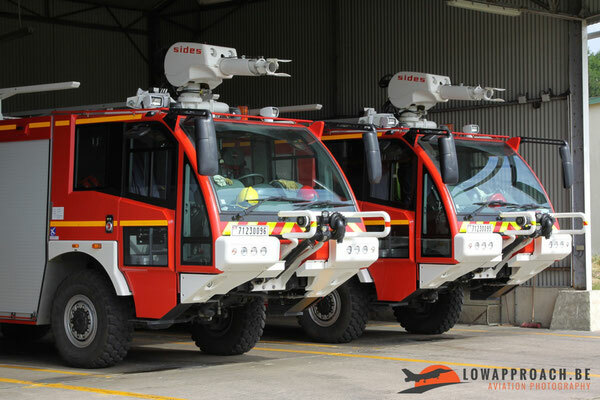 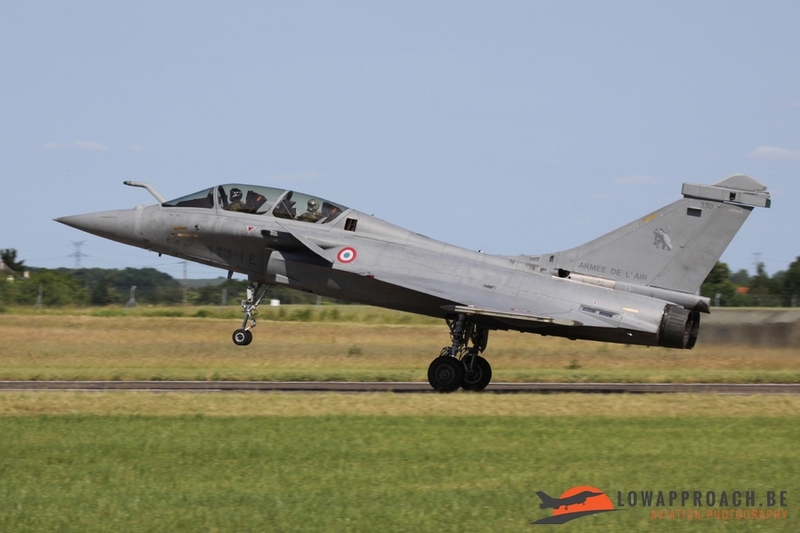 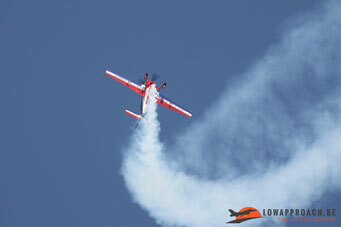 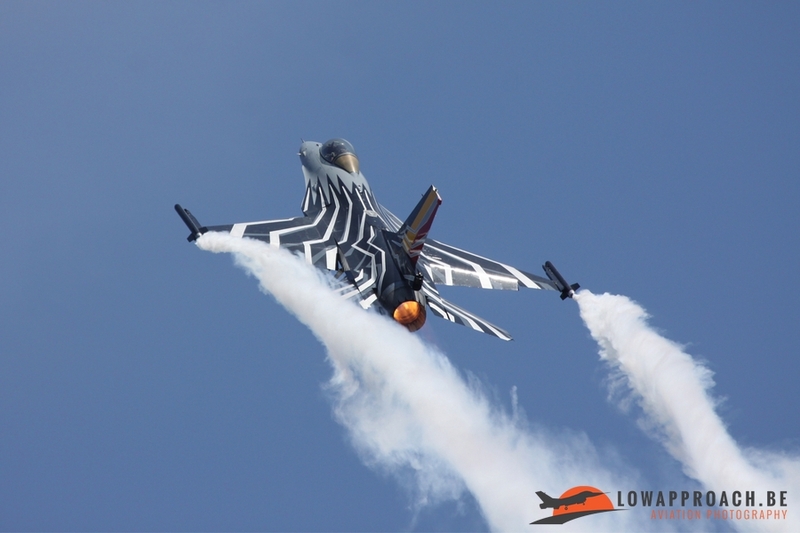 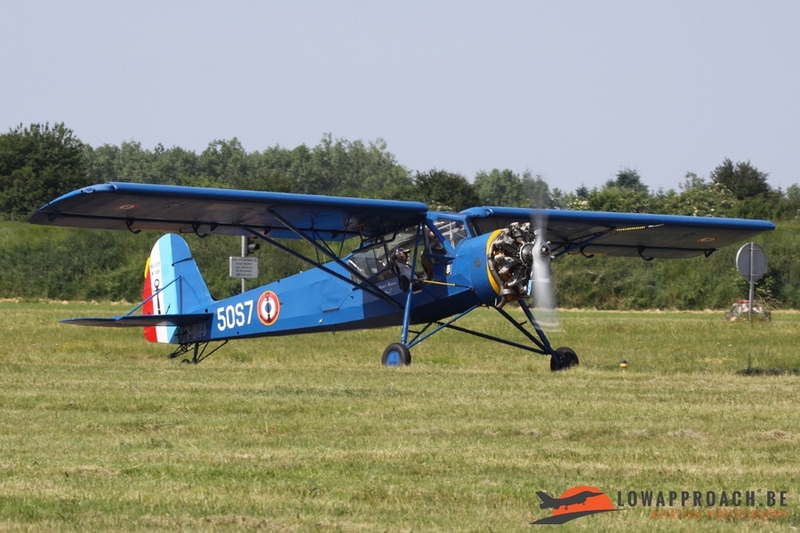 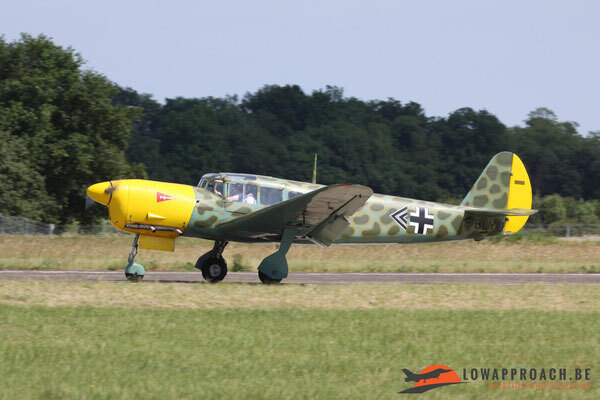 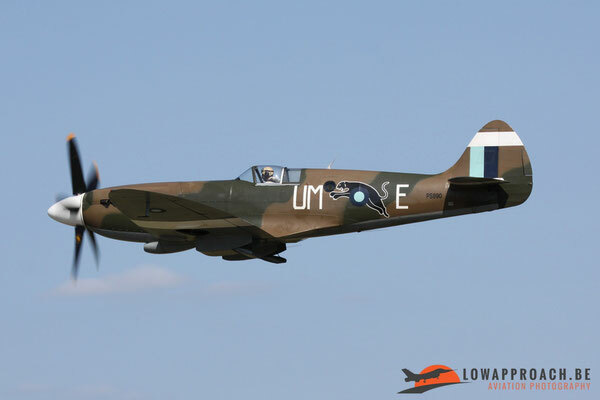 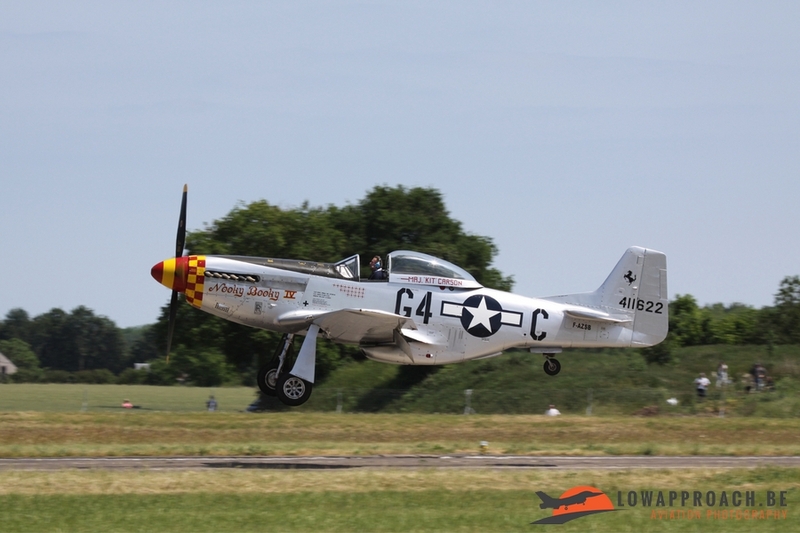 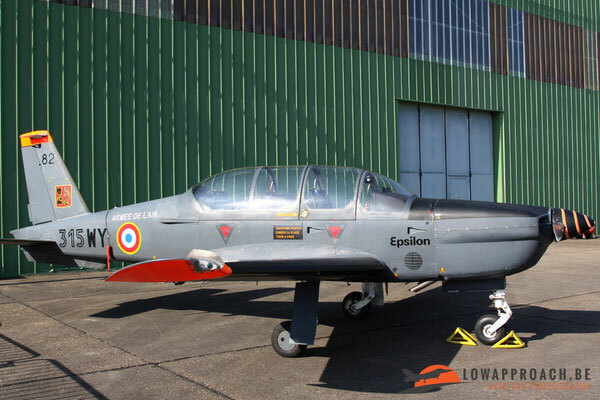 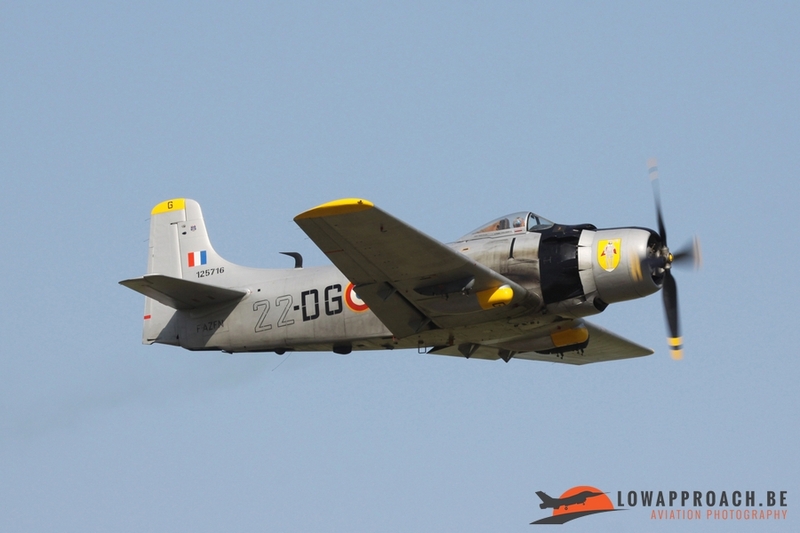 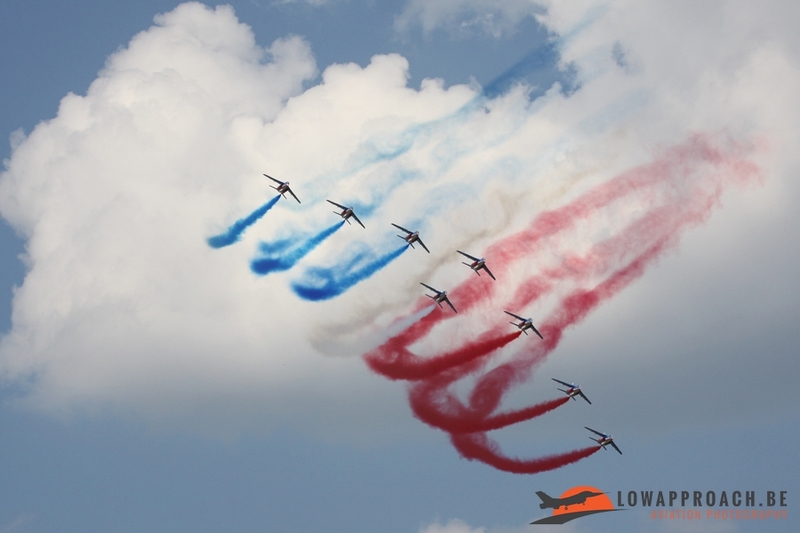 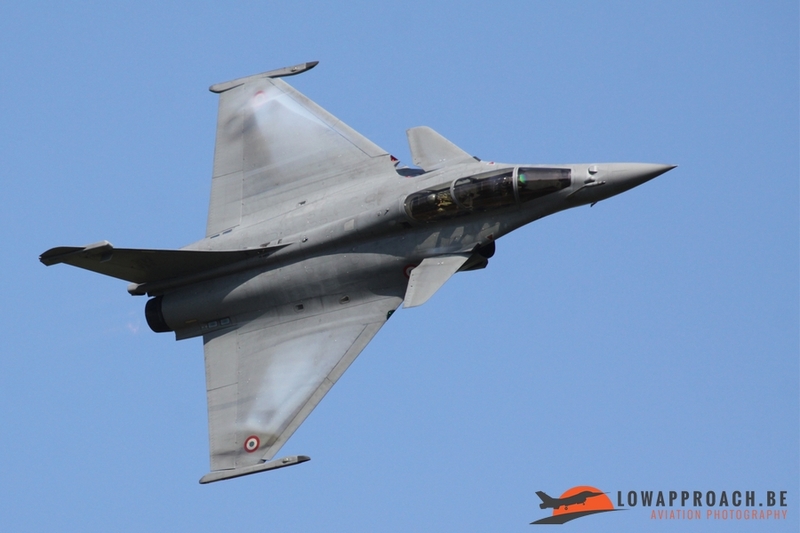 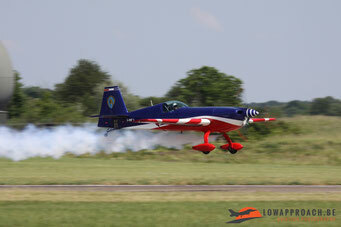 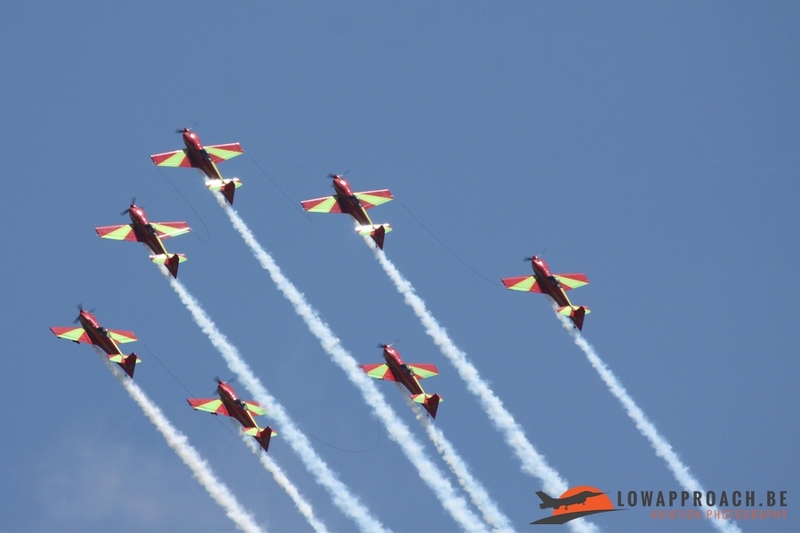 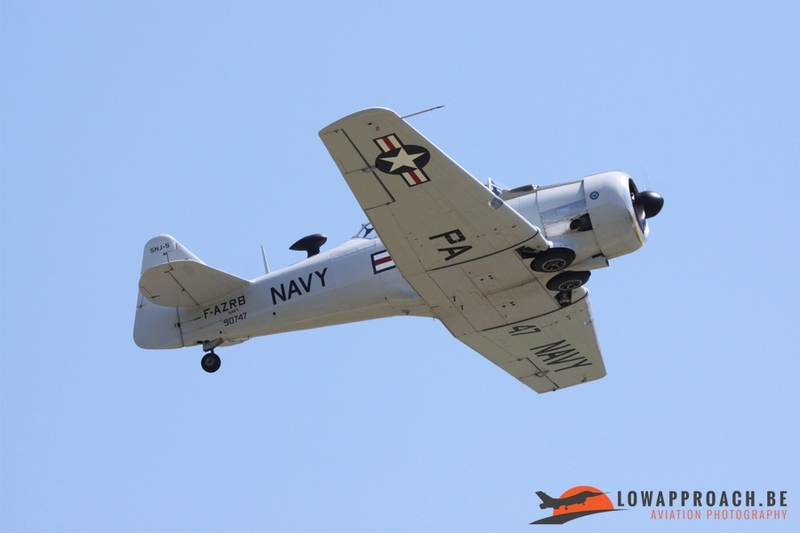 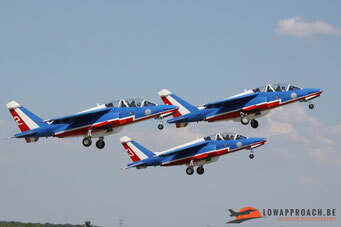 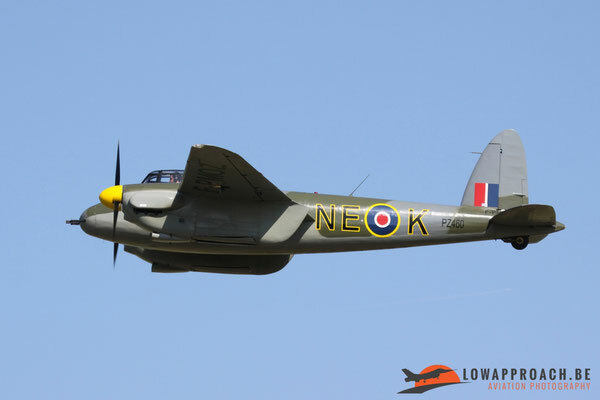 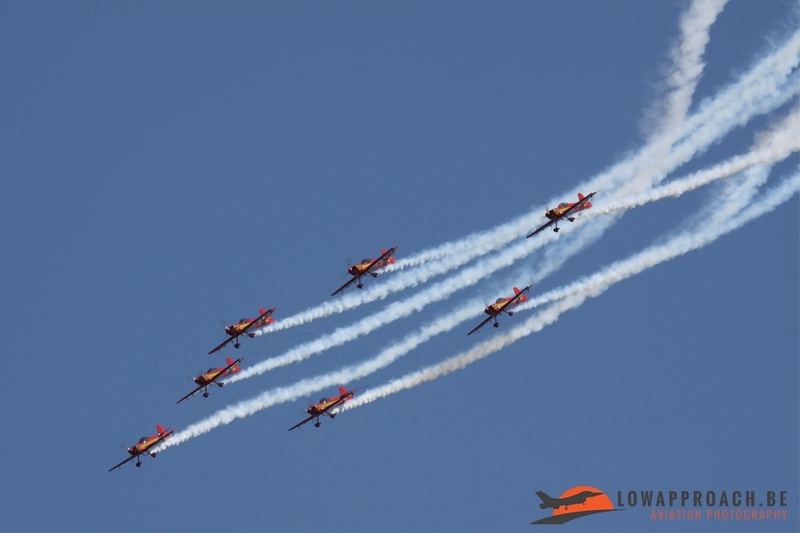 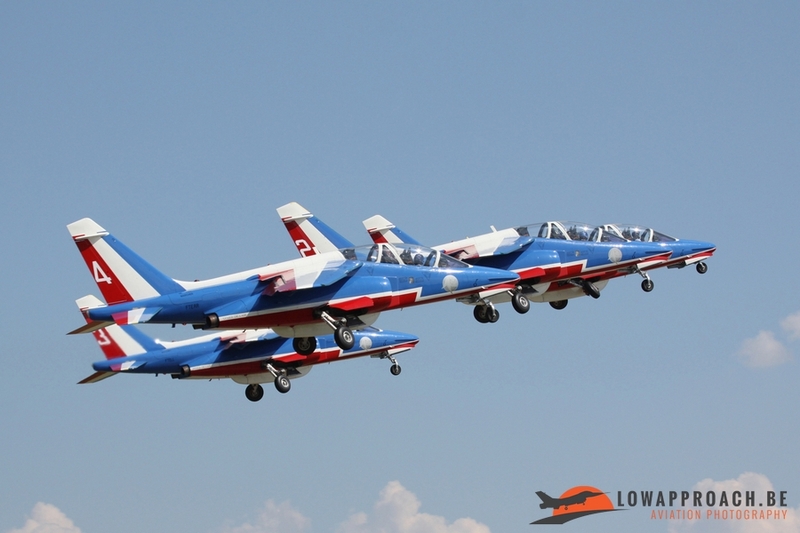 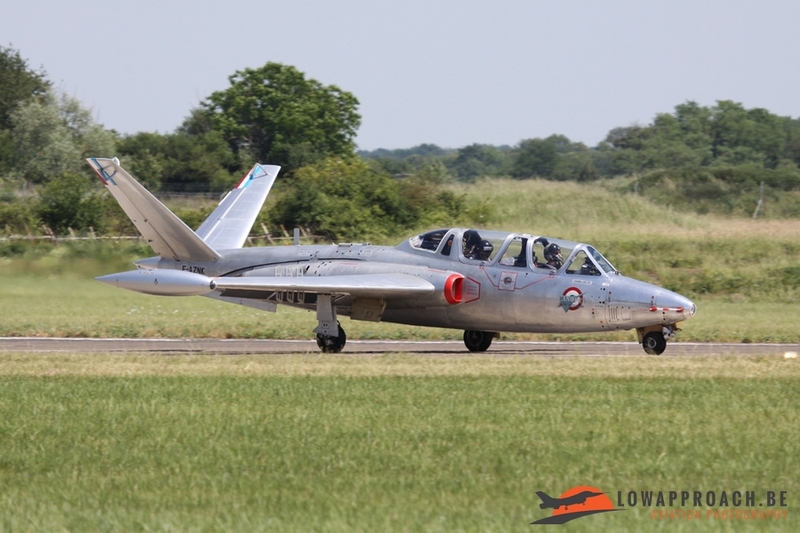 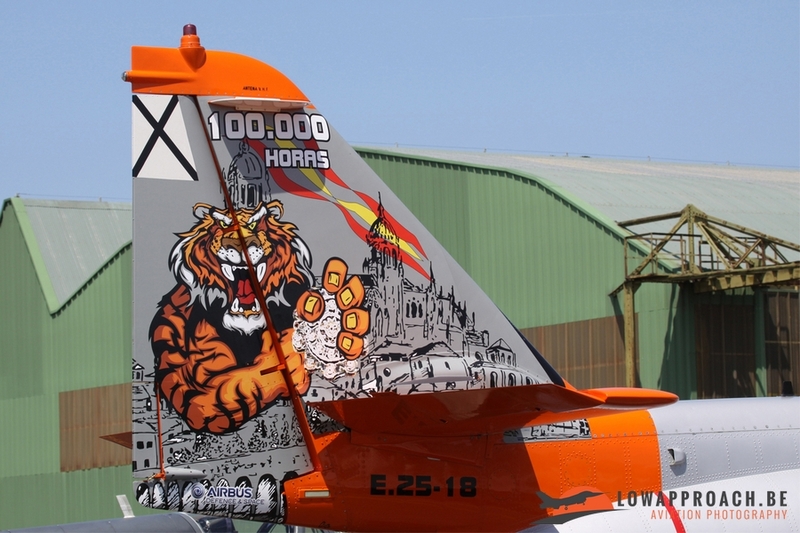 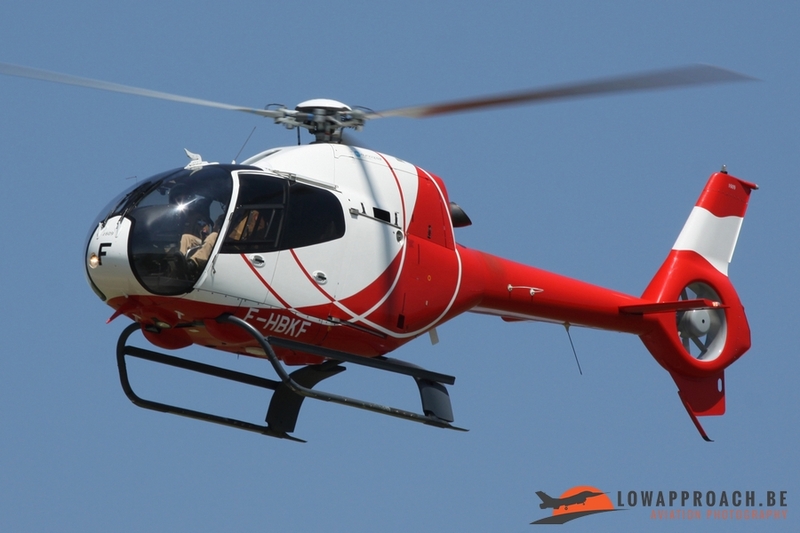 In June 2015 expectations were not so high, but the show at the renamed base Tours ‘Val de Loire’ that celebrated the 100th Anniversary (Centenaire) was the best of the three organized Meetings de l’Air from that year. 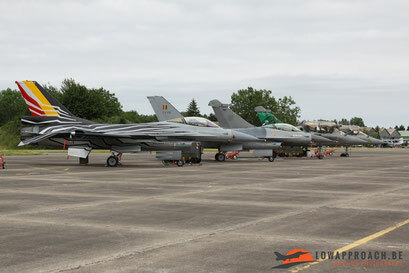 Attending the spottersday on Friday and the showday on Saturday I could enjoy a nice mix from several interesting warbirds, classic wings, trainers, helicopters and fighters. 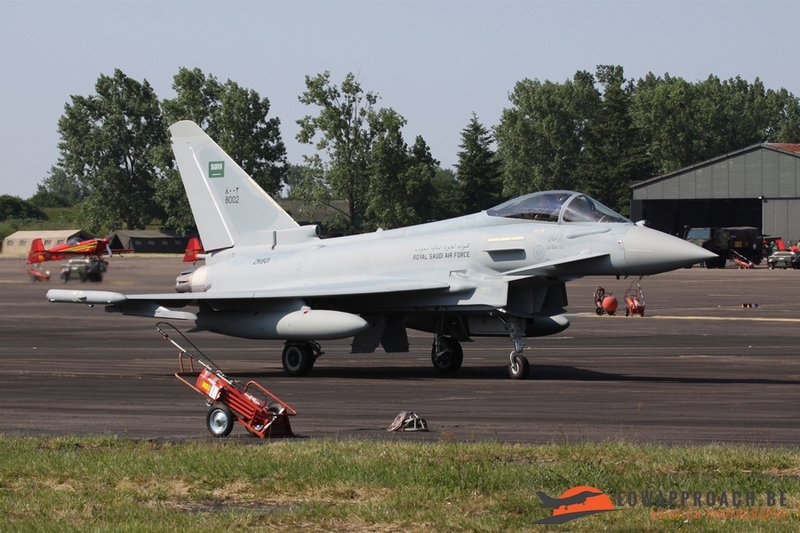 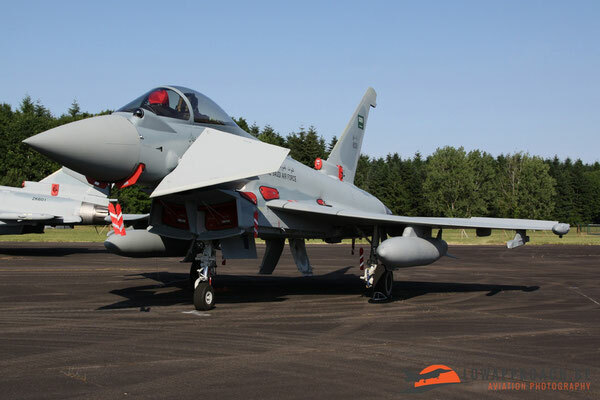 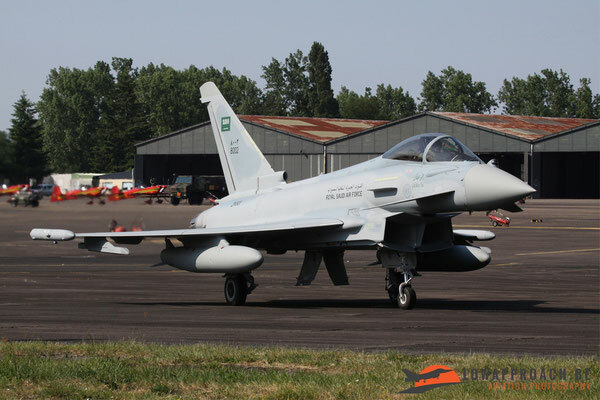 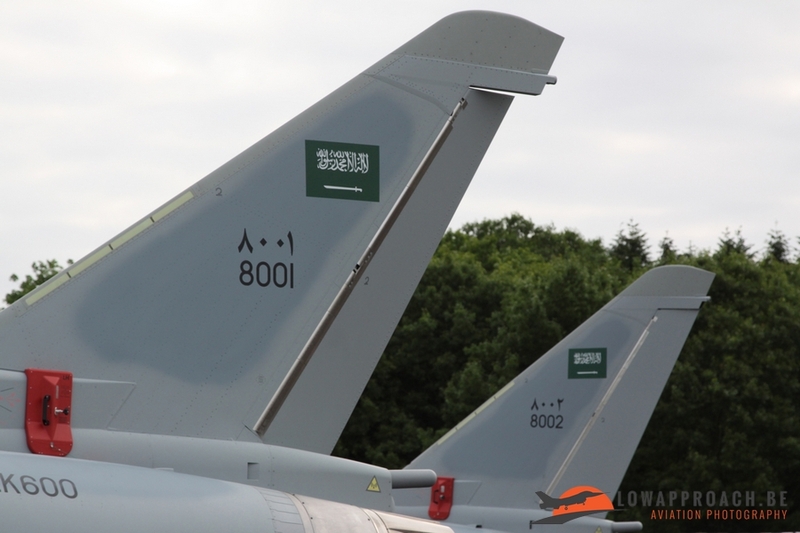 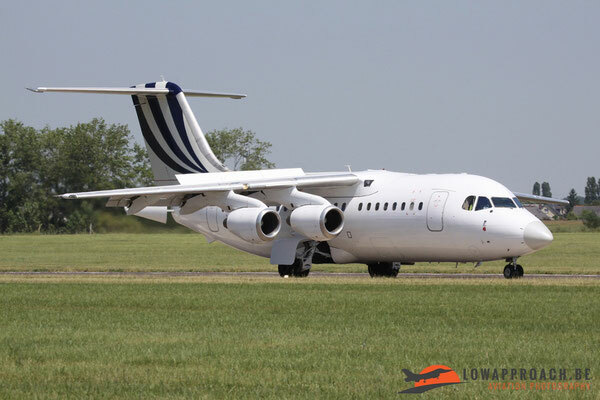 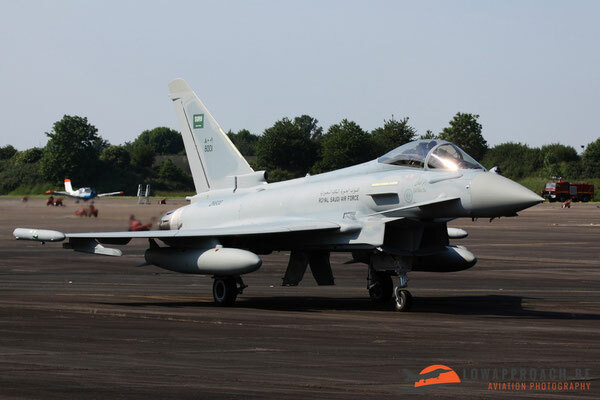 Highlights on these sunny days were two EF2000’s from the Royal Saudi Air Force, supported by a BAE Systems BAe146, that fuel stopped on a delivery flight from the facility at Warton to the Middle East. 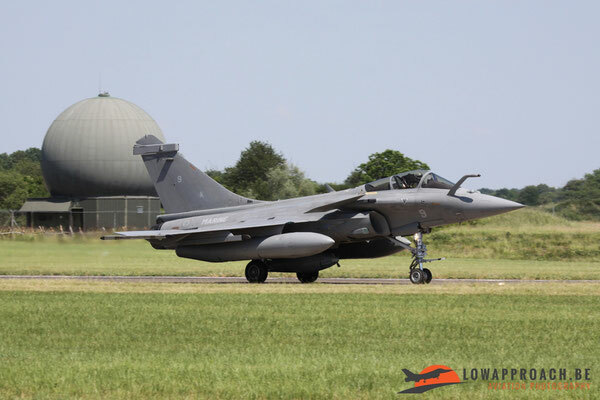 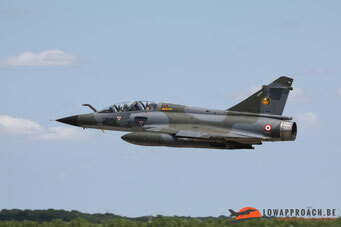 It was rare to see them make publicity during the weekend in the country that actually build the Dassault Rafale. 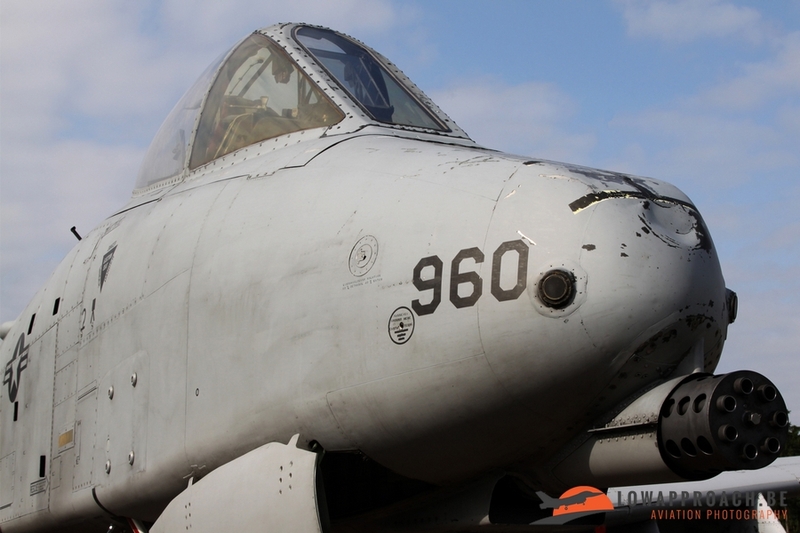 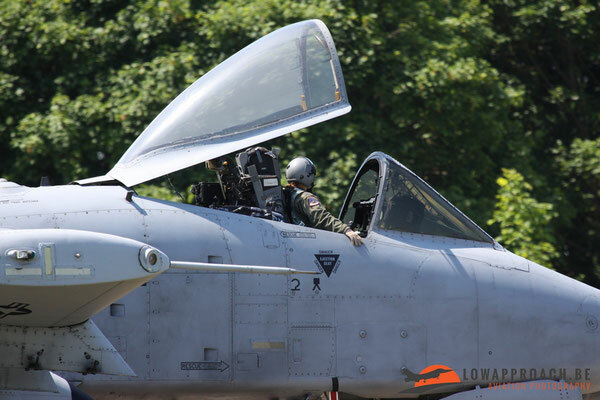 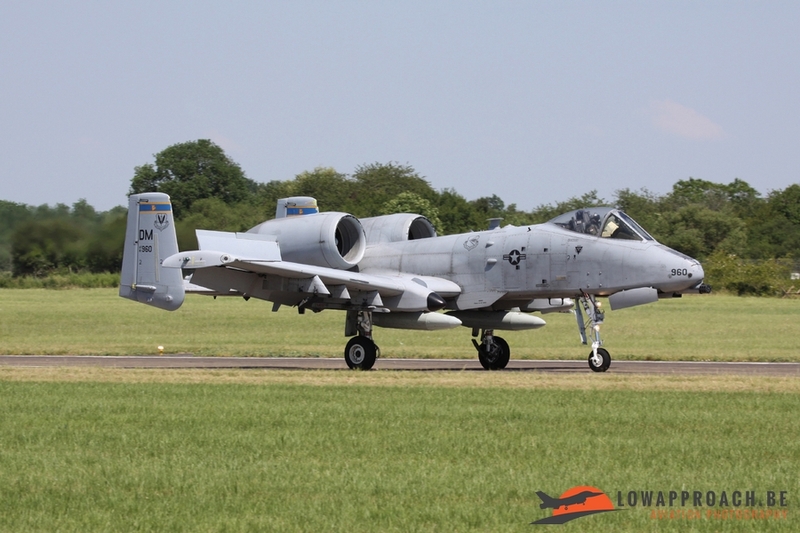 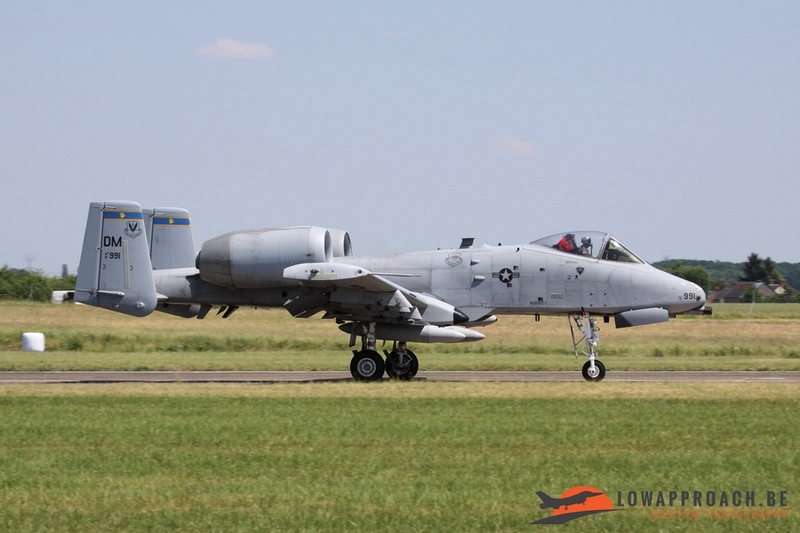 Also two A-10 Thunderbolts II from the 354th FS Bulldogs based in Davis Mountain, which were in Europe since 13th February and deployed for the first Theater Security Package (TSP), were much appreciated by the local spotters. 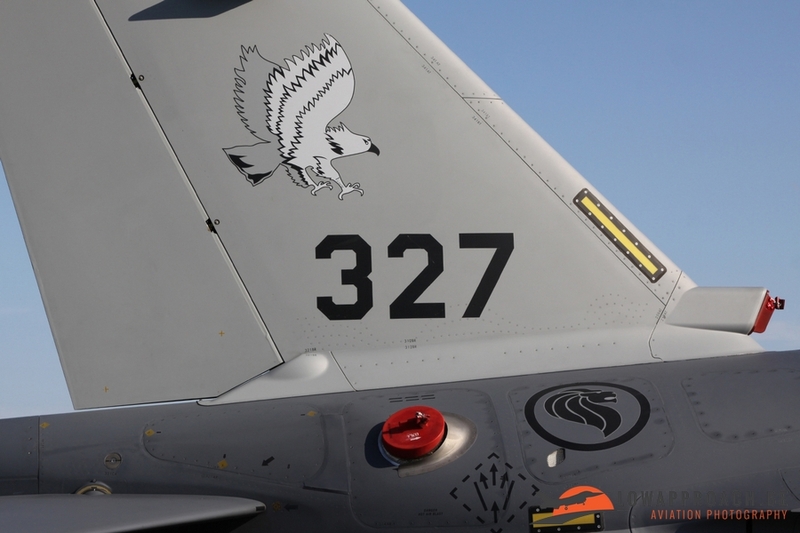 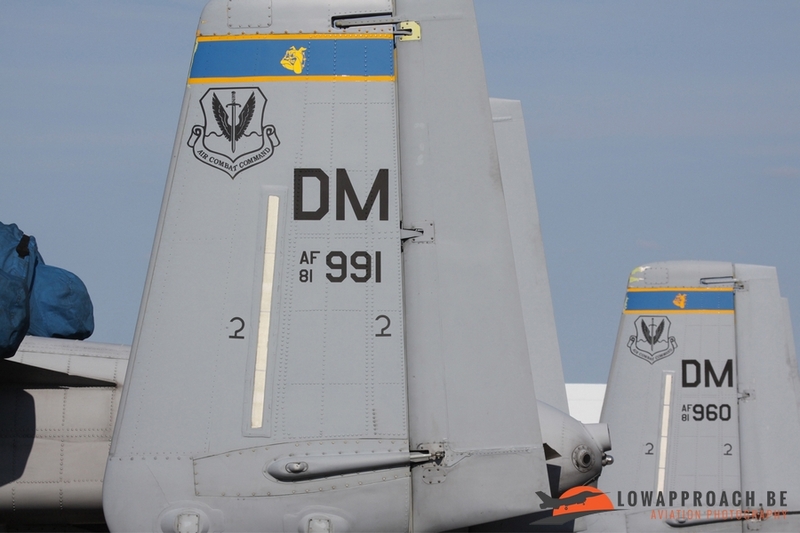 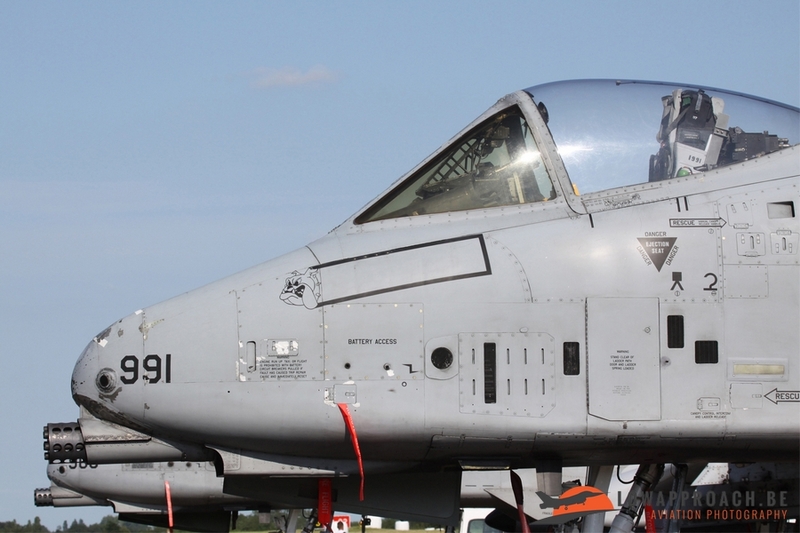 The 81-0960 DM and 81-0991 DM are two ex-Spangdahlem 'Hogs' from the 81st FS that left Europe in 2013 prior to squadrons upcoming deactivation. 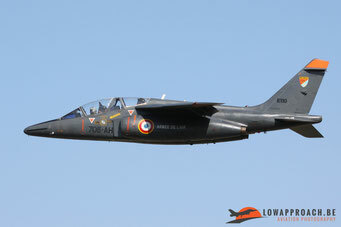 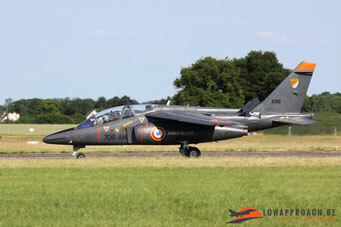 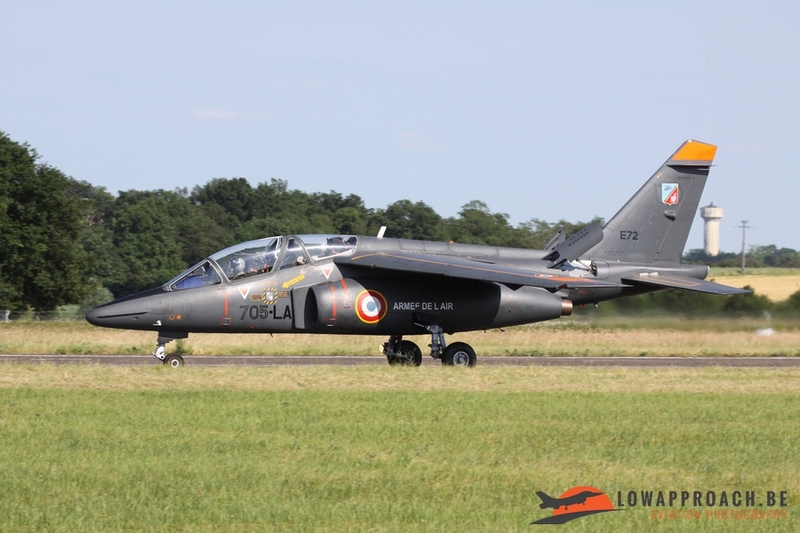 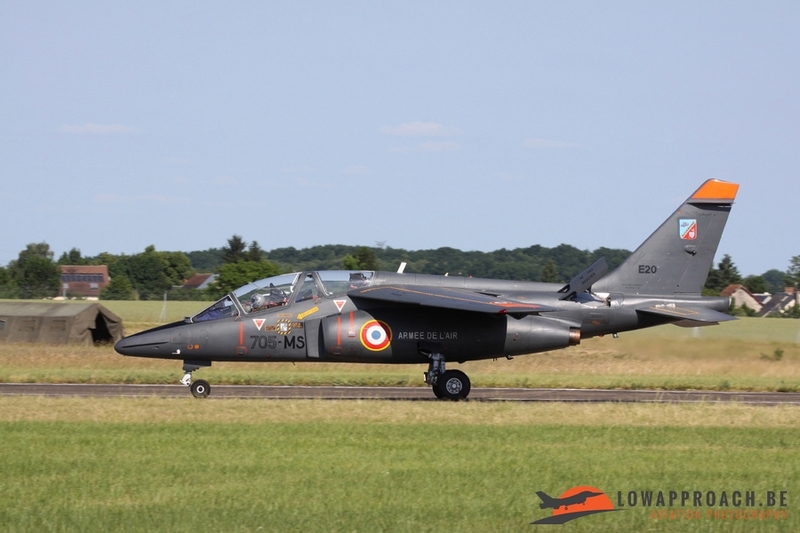 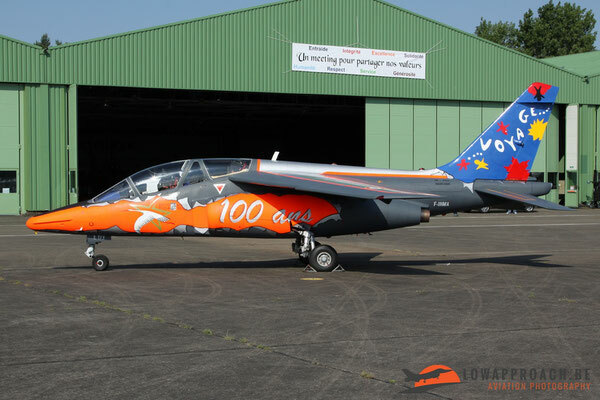 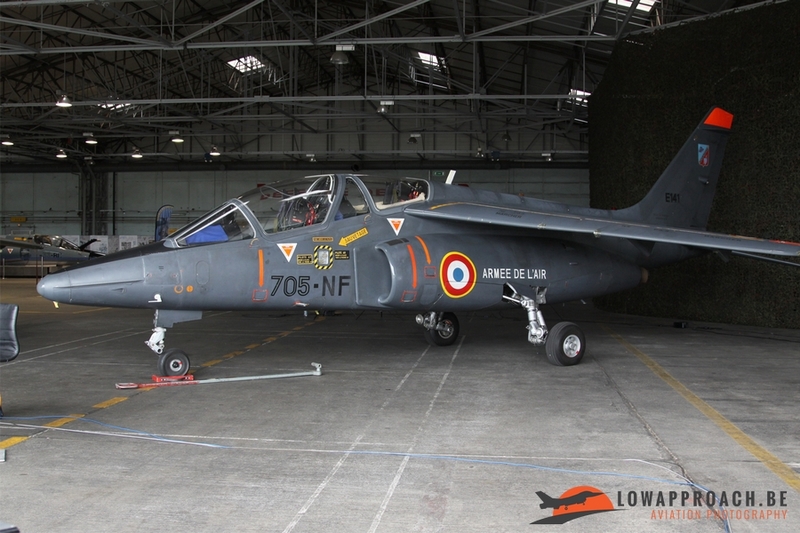 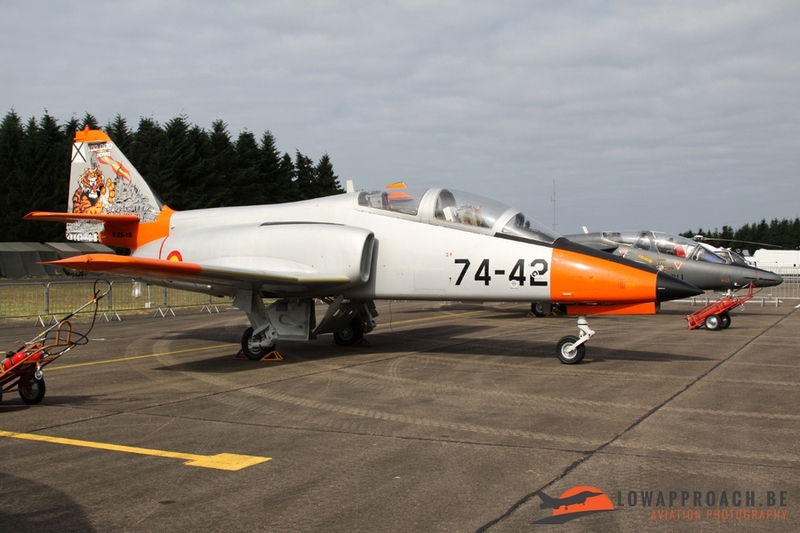 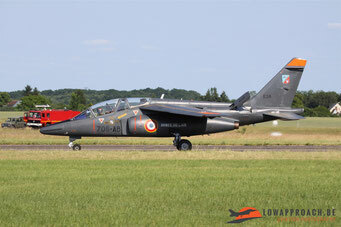 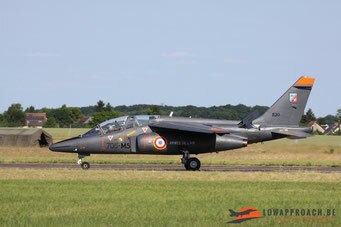 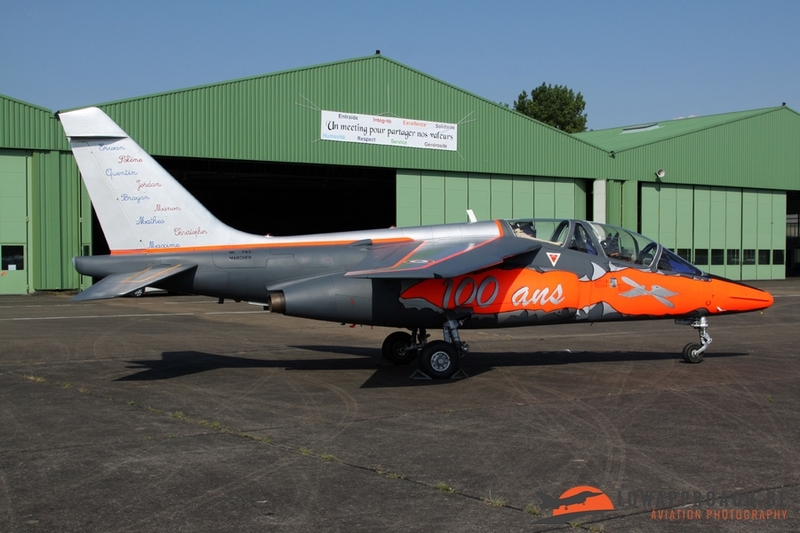 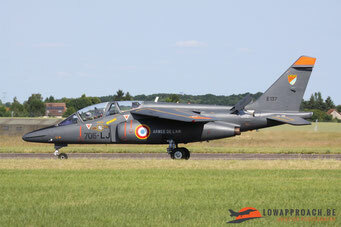 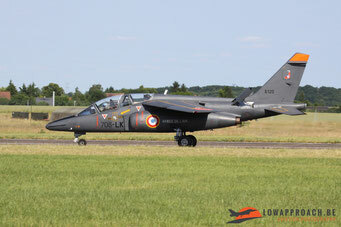 Eyecatcher of the weekend was a local Alpha Jet that was painted in a nice color scheme after a drawing contest between thirteen schools in the neighborhood of Tours. The winning design was created by the students from a school in Loches. 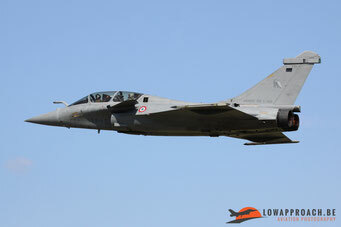 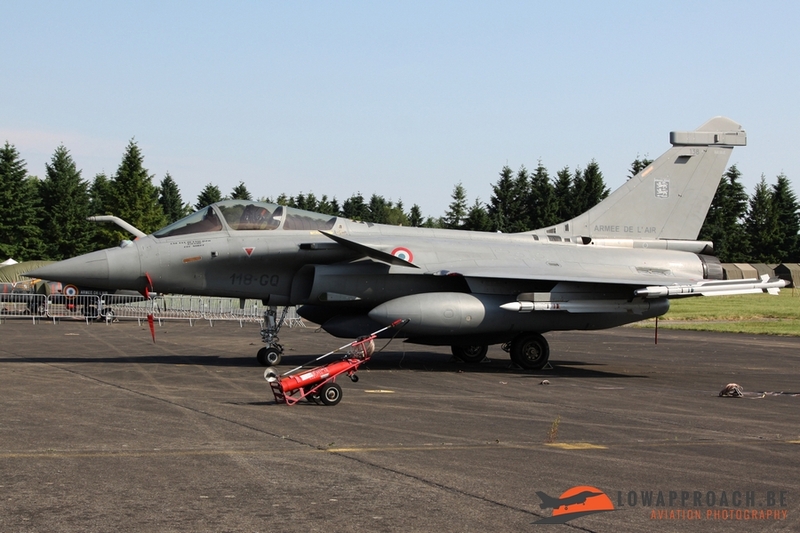 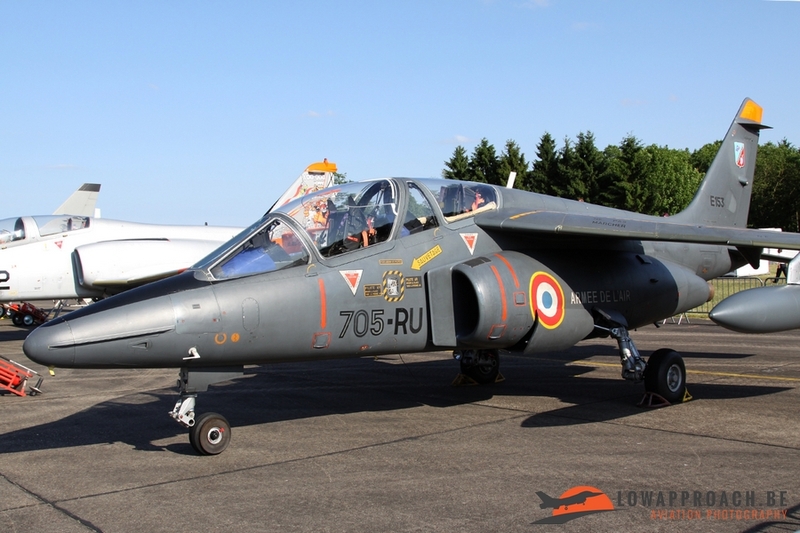 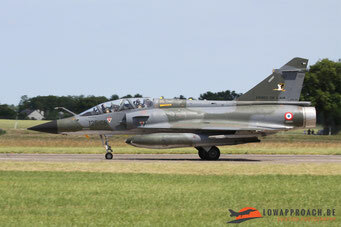 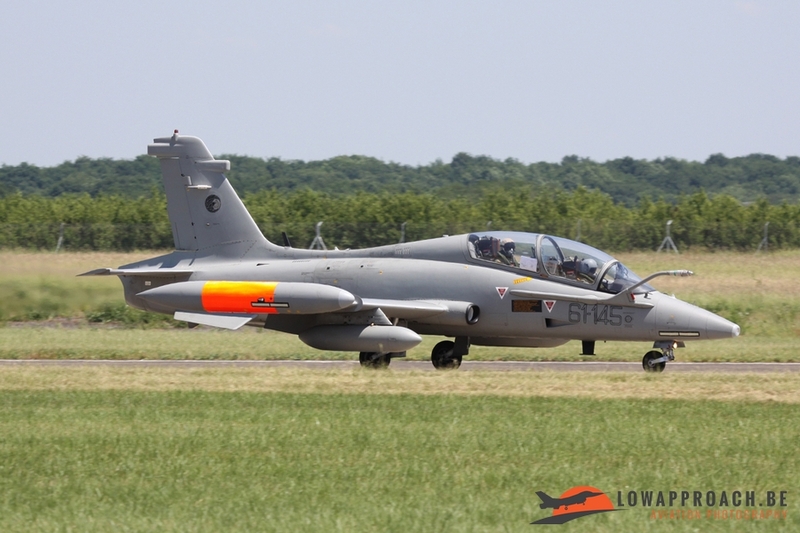 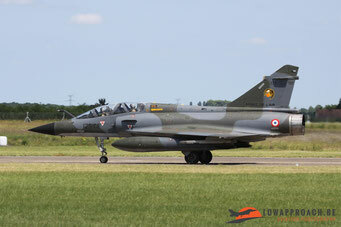 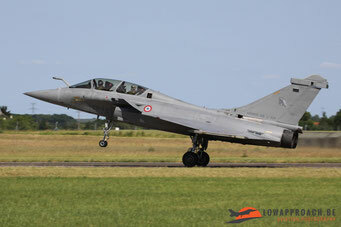 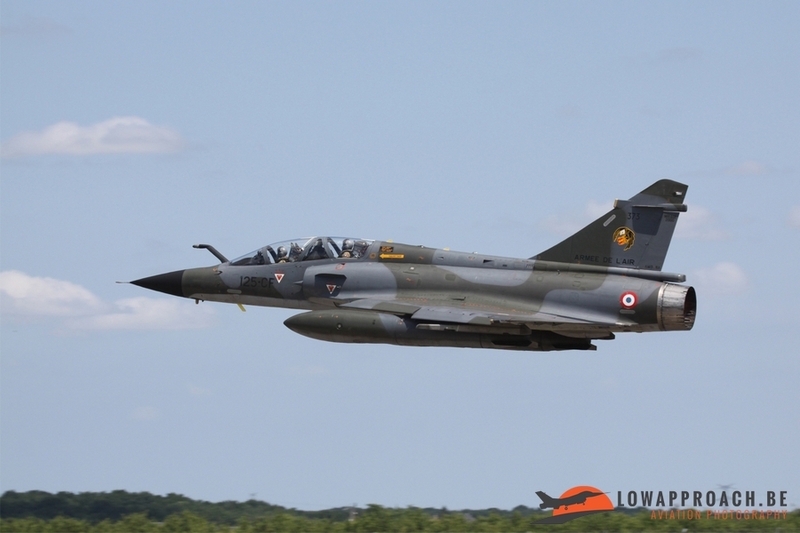 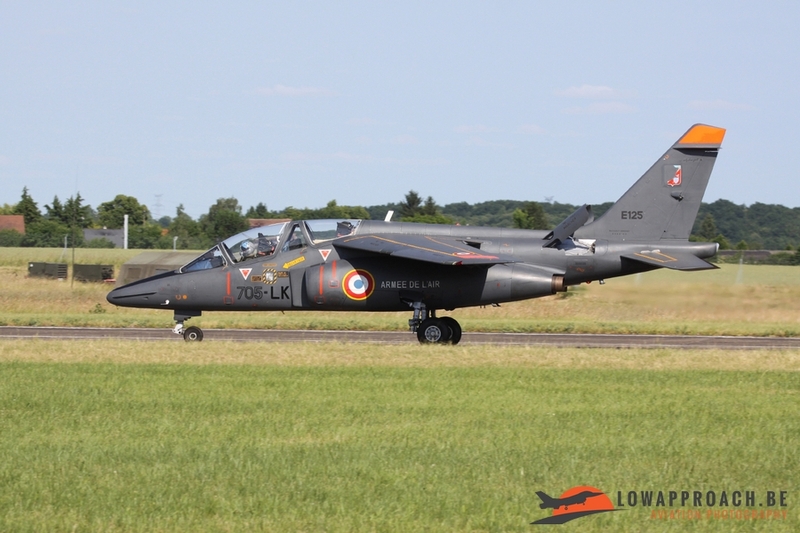 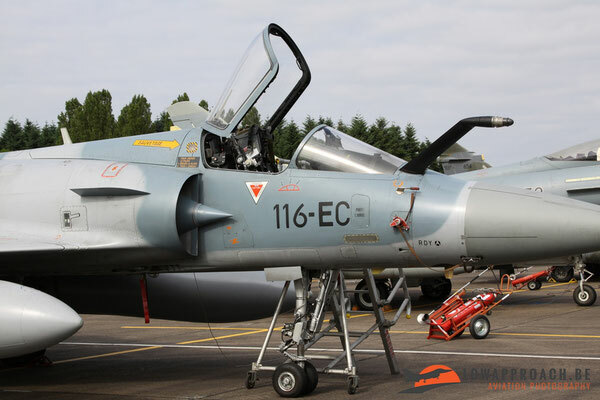 After the French displays from Ramex Delta, Rafale solo display, EC-120B, l’Équipe de Voltige and the Patrouille de France it was also nice to see that 6 local Alpha Jets were part of the flying display named ‘Mafia Flight’ and used to intercept a Robin DR-400-180. 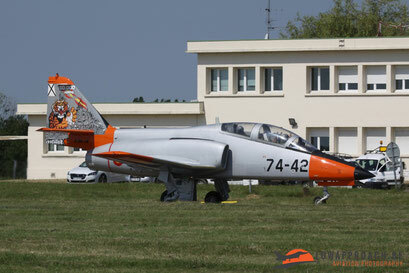 Also several other trainers could be seen. 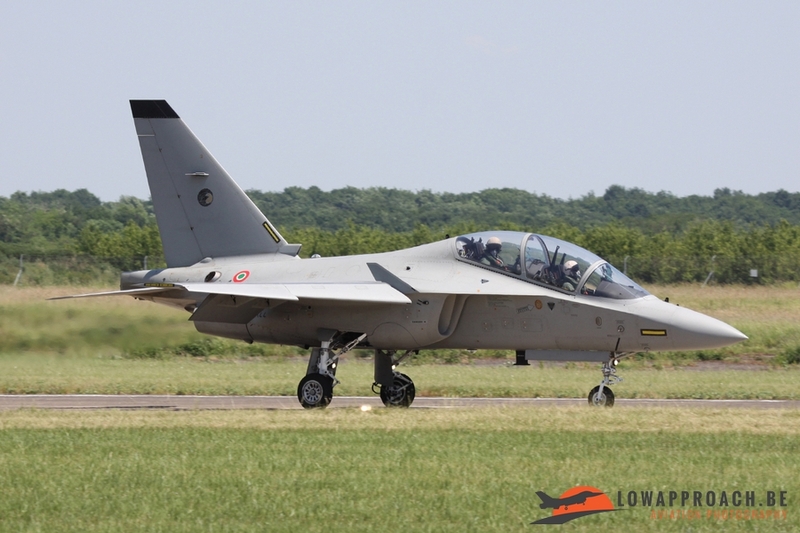 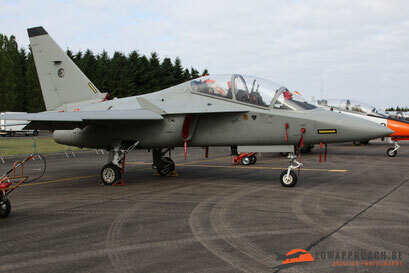 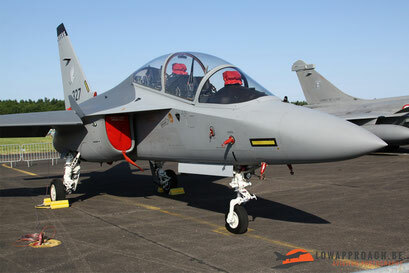 A brand new T-346A from the Italian Air Force and a M-346 from the Royal Singapore Air Force that replaced the A-4SU/TA-4SU in 2012 within 150 Squadron in Cazaux were part of the static display that also houses older trainers as C-101EB and MB-339CD. 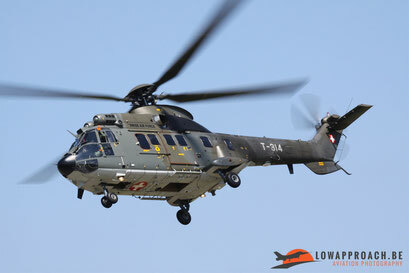 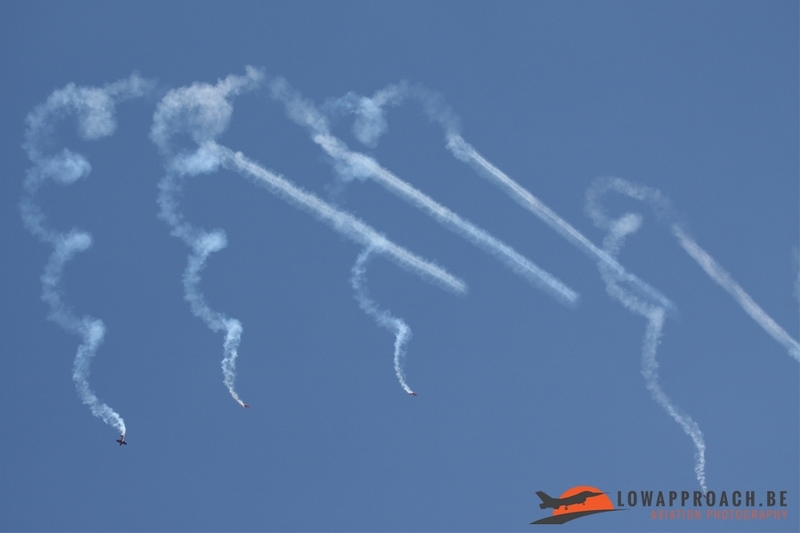 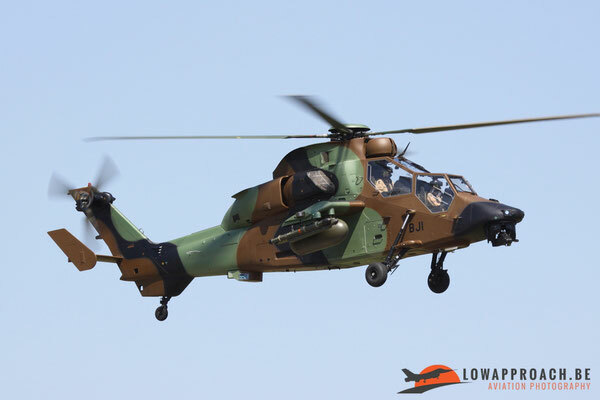 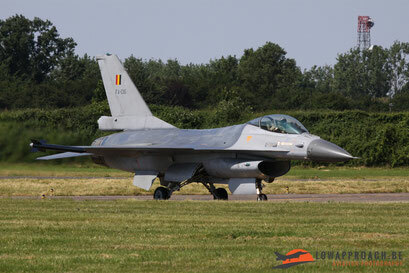 Foreign participation in the flying display was rather small as only the Belgian Air Force was present by ‘Gizmo’ with the F-16, the Swiss Air Force with the Super Puma and the Royal Moroccan Air Force with the display team 'Marche Verte'. 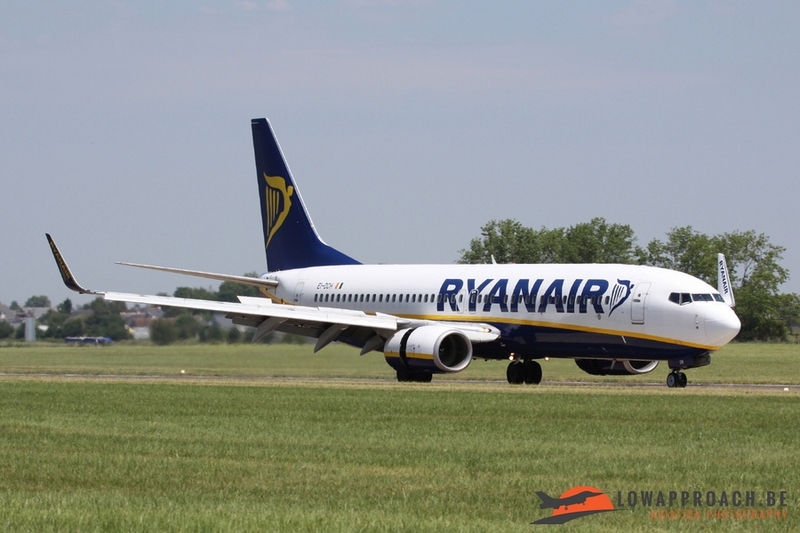 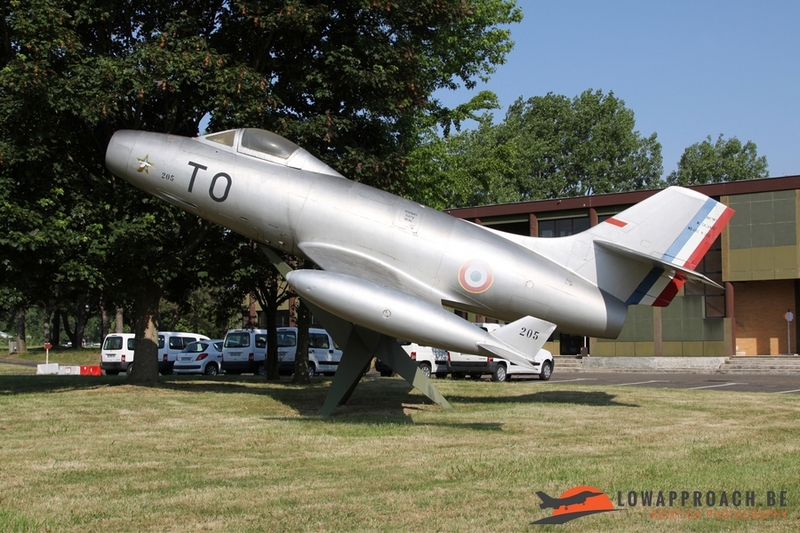 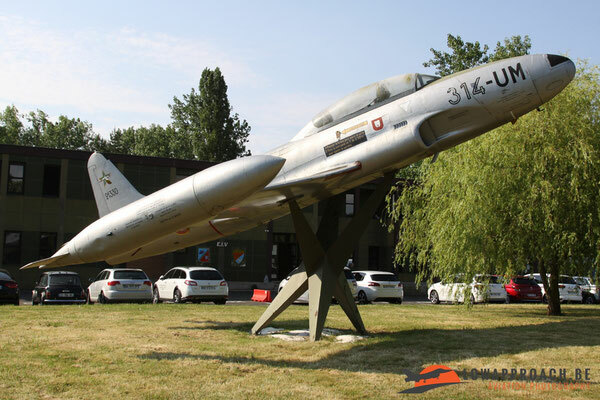 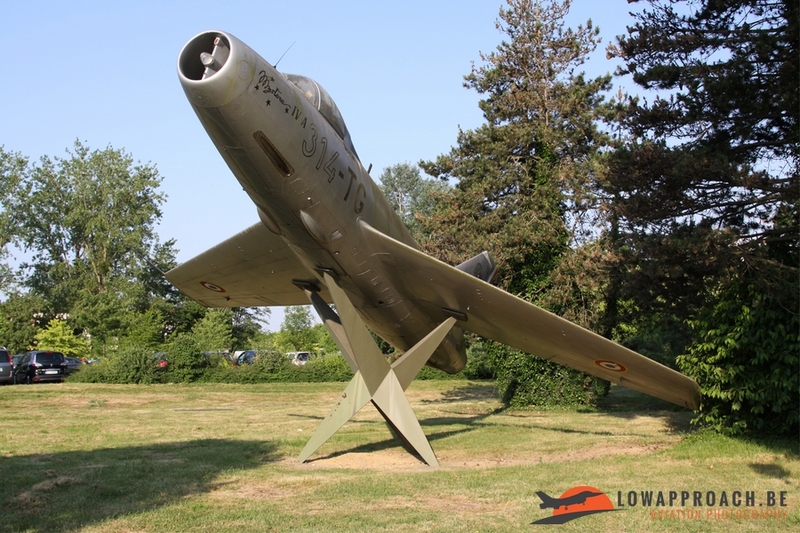 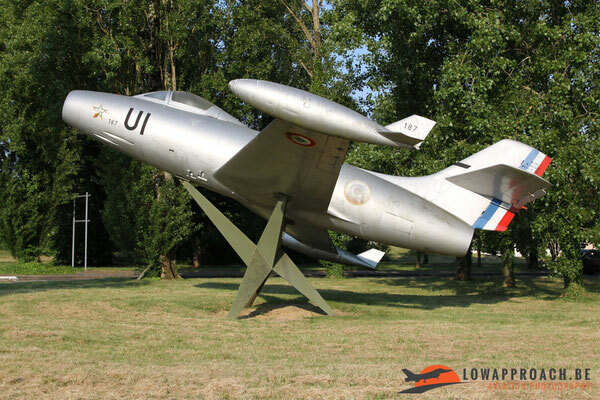 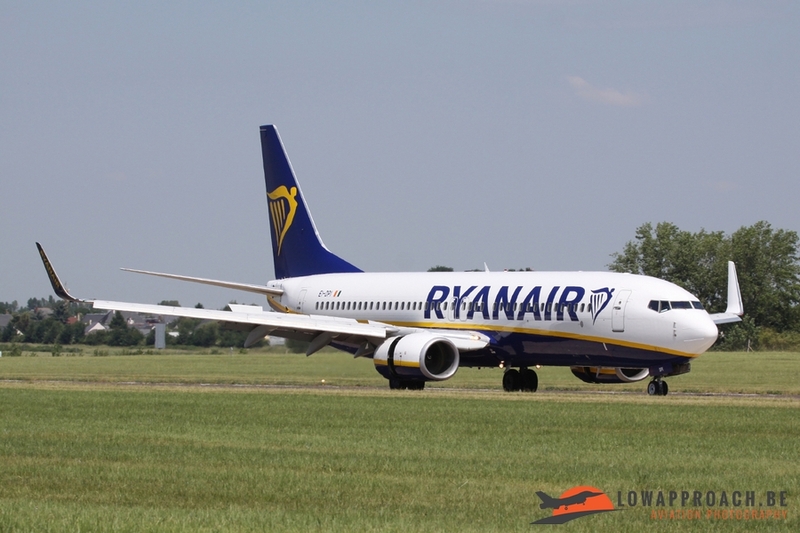 Preserved on a pole we could discover several relics such as two MD-450 Ouragan, T-33A and a Mystère IVA as part of the rich 100 years history from the base that nowadays is also used as a Ryanair hub. Below a small selection from airplanes that could be seen in the flying or static display and which are not described in the report above.